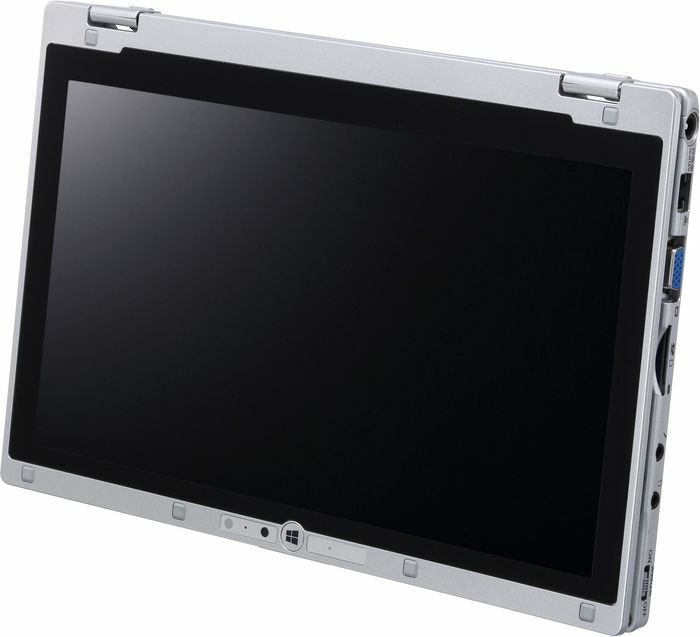 Positive: Lightweight and slim design; built-in LTE modem; decent touchpad; IPS touchscreen display; good microphone. Negative: Throttling CPU; poor webcam; noisy cooling system. 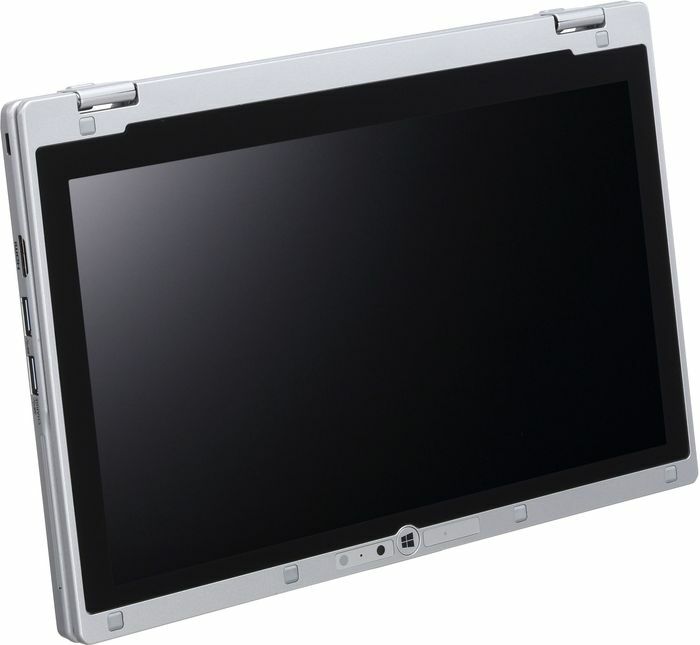 Positive: Large and comfortable touchpad; full HD IPS display with a matte surface and high luminance. Negative: Noisy cooling system; reduced keyboard requires practice. Model: The Panasonic Toughbook CF-AX3 is a business oriented device with its flip capability and tank-like build quality. It brings premium features in a lightweight design. 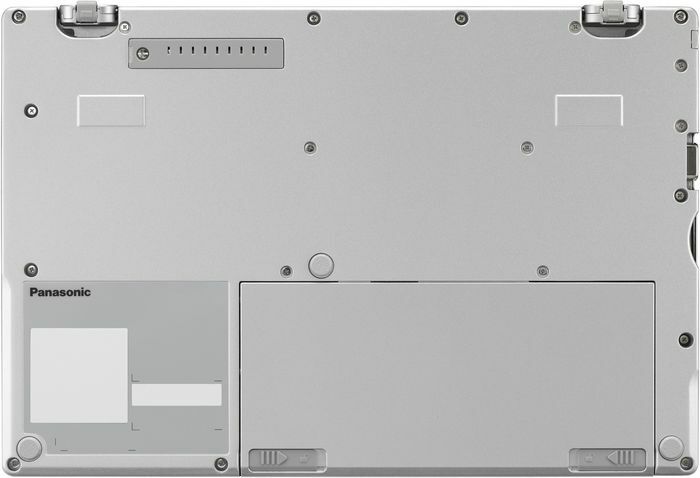 The 1.135 kg laptop comes with a metallic grey finish and strong chassis lines making it almost look bulkier than it actually is. Contrasting the grey is a solid black cover with the Panasonic brand. 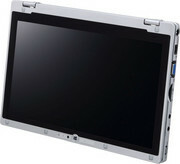 There is a solid hinge system allowing for the 2-in-1 modes to work flawlessly. 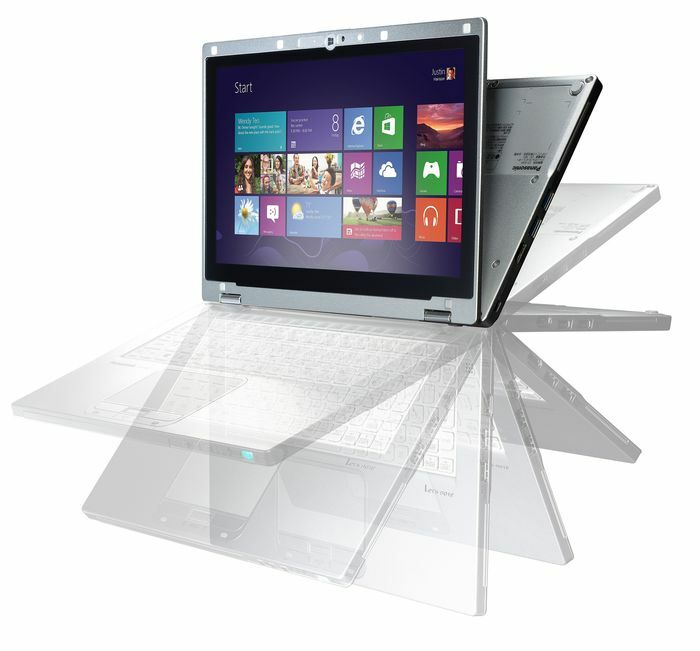 The Windows 8.1 Pro laptop comes with an Intel Core i5-4300U vPro processor clocked at 1.93 GHz, 4 GB DDR3L SDRAM, Intel HD Graphics 4400 and an 128 GB SSD for storage. 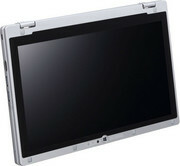 The 11.6 inch TFT display features Full-HD resolution and produces clear images. 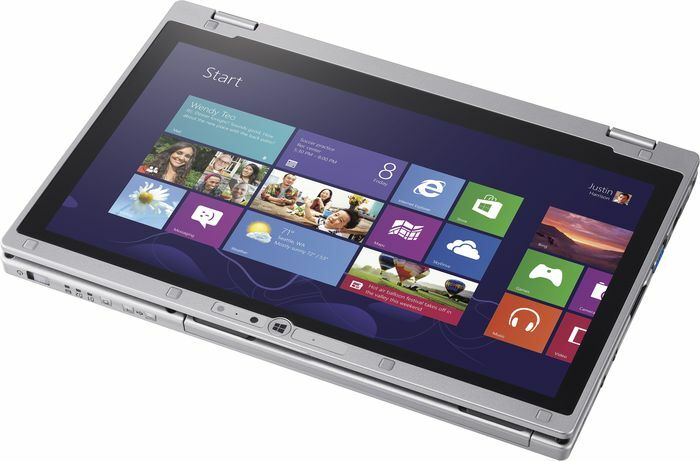 Navigation is good on the laptop with its 10-point touchscreen, tactile keyboard and mouse. Other features include Bluetooth 4.0, optional mobile broadband support, two USB 3.0 ports, a VGA out, an HDMI out and a card reader. 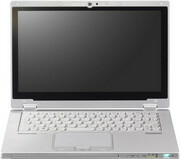 Audio quality is decent with WAVE and MIDI playback support using the Intel High Definition Audio subsystem. 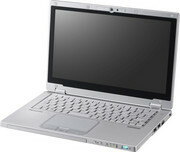 Battery life on the Panasonic Toughbook CF-AX3 is good with up to 12 hours operating time using Li-Ion technology.